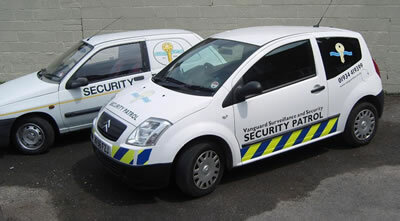 About Vanguard Surveillance and Security - Weston super Mare North Somerset security guards, mobile patrols, key holding & training. Vanguard Surveillance and Security provides static manned guarding, mobile patrols, keyholding, caretaker and building open and lockdowns. For Special Events, we are experienced in crowd and traffic control, security of client vehicles, facility vehicles, unit base and equipment, car park and street reservations, location crew and cast safety. A manned 24-hour control room, accessible to clients and staff, ensures a fast and efficient response to all queries and situations, supports all Company operations. All Company operations are fully insured as follows: Public Liability, Efficacy and Contractual Liability, Employers Liability, Wrongful Arrest, Fidelity Bonding, Loss/Consequential Loss of Keys. Documentation provided upon request. Vanguard Surveillance and Security offer a variety of security options, tailored to your needs. Businesses that have used Vanguard Surveillance and Security include hotels, tourist attractions, industrial estates, business parks, offices, retail outlets, building sites, public sector sites, film and TV locations, corporate events and more.